What a week it has been! Last night was my daughter’s big Rapunzel birthday party, and we went to a pumpkin patch today. 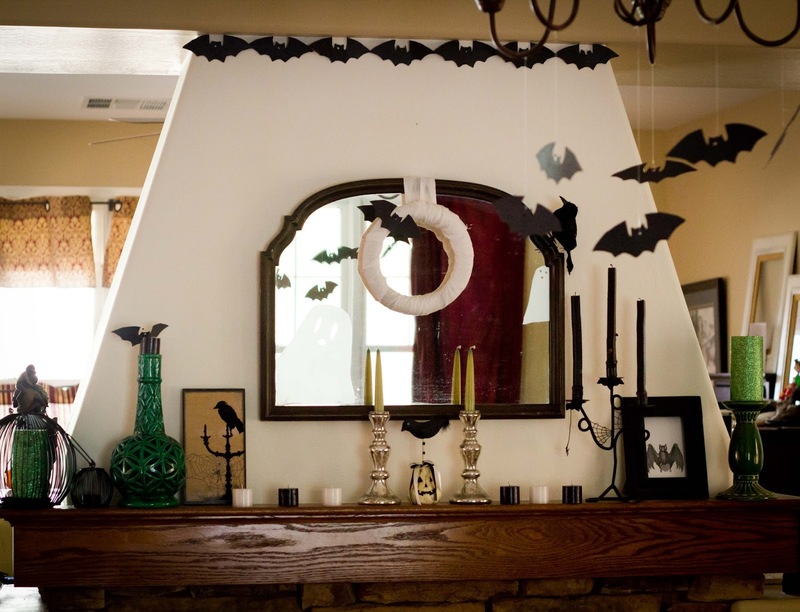 I am a bit exhausted tonight, but want to share a little of my Halloween decor before Halloween is upon us. I had fun decorating my mantle last year, but wanted to change it up a bit this year. Since last year (because somebody didn’t buy the right 3M strips), the wall has been painted white. I also added this great vintage mirror. I’ve also been feeling a little green this Halloween (for reasons many of you have guessed), so I put together this mantle mainly with elements in black and white and shades of green. 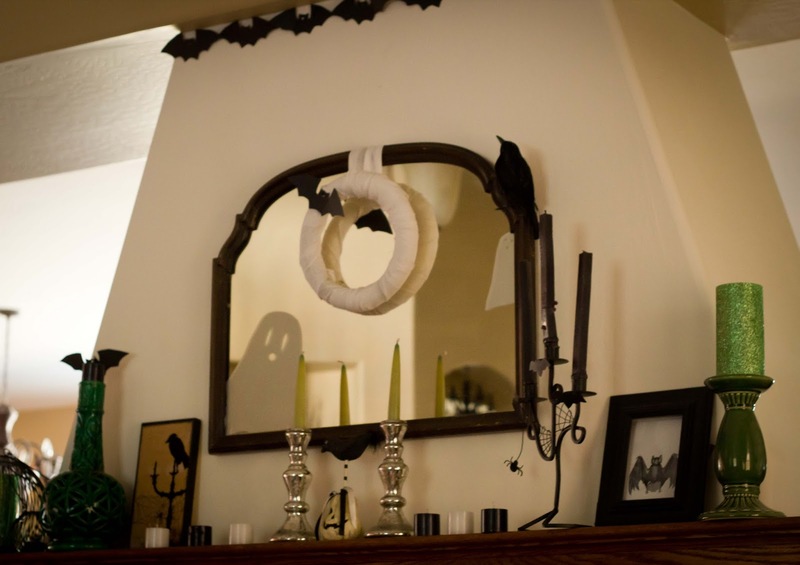 Did you catch the frosty ghosts peering out from the mirror? 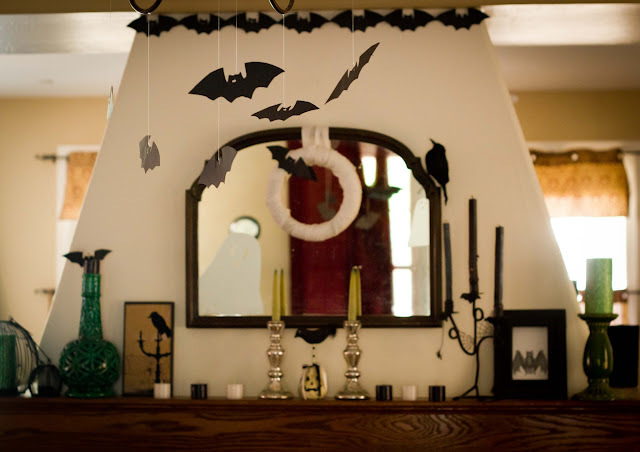 Bats and crows are prominent. 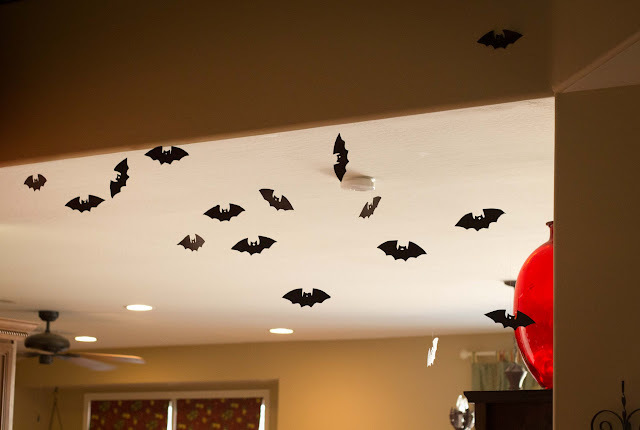 We cut dozens of bats out of poster board a few years back and love to have them fly through the house this time of year. 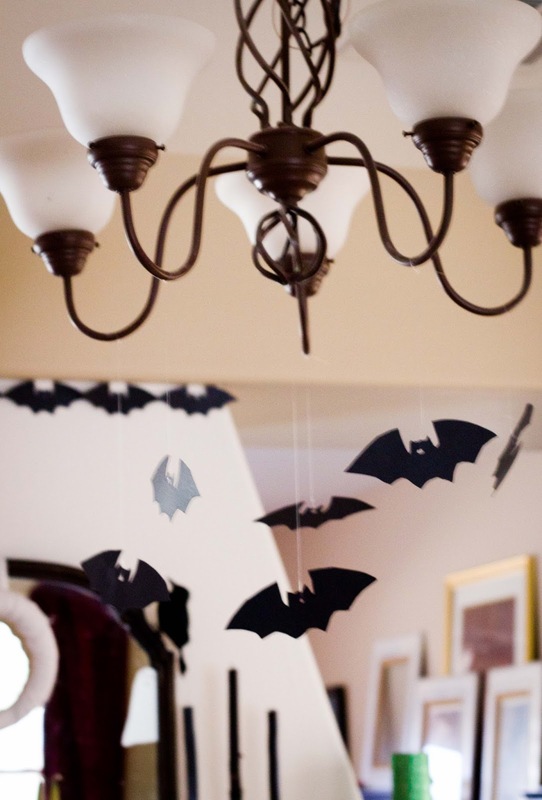 Several have taken to flying around the chandelier in front of the mantle. 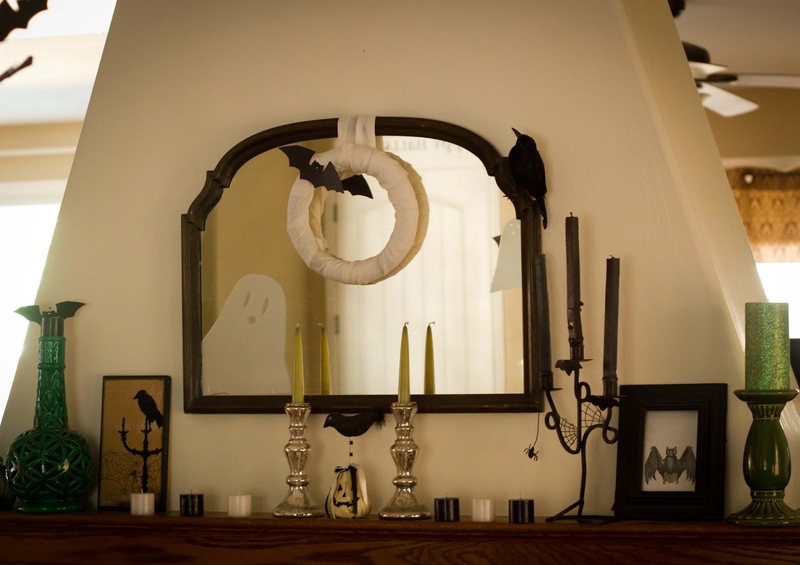 And one has made its home on the simple mummified wreath in the center of the mirror. The crows are mainly dollar store crows except for the cool work of art I got from Summer at The Idea Cupboard. It’s hard for me to call something like this finished, as I keep tweaking all the time, but Halloween is coming, so it is done for now. The bottles of potions from last year’s mantle are on display, but not filled with their glowing green contents, yet. 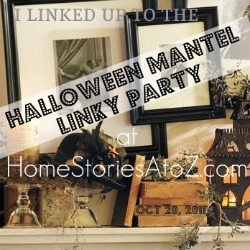 And since I went green with this mantle I had to edit out a lot of fun orange decorations I have. Of course, I couldn’t just put them all away, so I made another vignette I’ll post in a day or two, as well as our outside decorations. Are you decorated for Halloween? p.s. Come back soon for the whole Tangled birthday report! This is really wonderful. Thank you so much plus carry on the excellent job.